The speed at which blockchain technology is being adopted is unprecedented, says PwC. South African start-ups' interest in blockchain is increasing, with the firms looking to create new businesses around the technology. So says Paul Mitchell, fintech and blockchain lead for PwC South Africa, commenting on new research findings released by PwC yesterday, "Blockchain is here. What's your next move? ", which surveyed 600 executives in 15 countries and territories, on their development of blockchain and views on its potential. According to the survey, 84% of executives report that their organisations are involved with blockchain technology, while 15% state they are fully live. Market analyst firm IDC says global spending on blockchain solutions is forecast to reach $2.1 billion this year, more than double the $945 million spent in 2017. 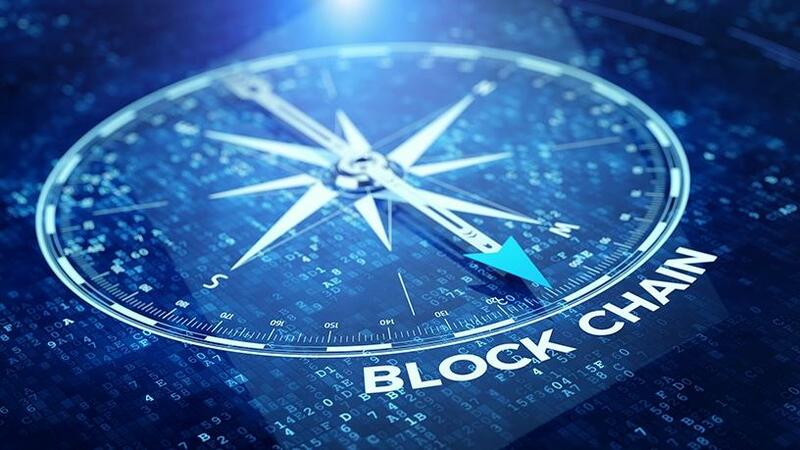 PwC says as blockchain rewires business and commerce, the research provides a clear signal that organisations fear being left behind as blockchain developments accelerate globally. The technology is opening up opportunities, including reduced costs, greater speed and more transparency and traceability, it adds. "The survey findings indicate that organisations recognise the importance of working with blockchain; they don't want to be left behind as blockchain developments gain momentum globally," says Mitchell. "We are seeing rapidly growing interest in this space in South Africa as start-ups look to create new businesses around blockchain, and incumbents across industries are learning what blockchain will mean in their context. "The speed at which blockchain technology is being adopted is unprecedented. There is a growing recognition that this technology has profound implications in many areas, and we are watching it move from a start-up idea to an established technology in a fraction of the time it took for the Internet to be accepted as a standard tool." Carel de Jager, consultant at the Blockchain Academy, notes there are numerous start-ups in SA looking at a wide range of blockchain-based fintech solutions. Some of them include Centbee, Bitsure, Valr and Octobase, he points out. "Blockchain deployment is still on the slow side in South Africa. Pineapple recently launched a decentralised peer-to-peer insurance product. Several financial institutions are actively busy investigating use cases for the technology," says De Jager. "Blockchain technology allows for peer-to-peer interaction between any two or more parties that don't trust each other. This means that value can now be digitally transferred without needing to trust an intermediary to provide settlement trust. Essentially, it results in cheaper, quicker and safer ways to do business." Charles Pittaway, MD of Sage Pay, says blockchain is in its infancy in SA, but the country is seeing the financial services industry experimenting with some interesting use cases. "It is encouraging to see, for example, that the South African Reserve Bank and major banks have tested blockchain for interbank payments. We can also expect utility companies, healthcare and the public sector to start exploring the potential of the technology." He points out that the blockchain start-up scene in SA is really dynamic and exciting, and South Africans have played an instrumental role in founding global blockchain start-ups and projects like the Luno crypto exchange and the Civic Secure Identity Ecosystem. "There is a range of exciting blockchain projects under way in the Cape Town and Johannesburg start-up hubs." However, Pittaway points out that the challenge for SA's blockchain entrepreneurs is to scale them and take them global. He believes as blockchain's regulatory landscape in SA remains uncertain, this may hold back adoption for some of the more obvious applications in banking or insurance. "There are many issues to consider here, such as how one manages erroneous or fraudulent transactions when they can't simply be reversed, or how transactions across cross-country borders should be taxed and regulated. "Also, many organisations fear the security and privacy implications of moving from a centralised database towards a decentralised model where all participants have visibility into the transactions in a blockchain. And as anyone who has traded in Bitcoin knows, settling transactions on a blockchain can be slow and cumbersome," says Pittaway. For Vishal Barapatre, CTO of In2IT Technologies, the blockchain is inherently linked to the financial industry since the introduction of the crypto-currency, Bitcoin. "As a result, the financial industry is definitely leading the charge when it comes to blockchain deployments and shows the greatest promise." In addition, says Barapatre, other industries such as telcos, government and mining are starting to have discussions around blockchain-based solutions. "At the moment, start-ups in South Africa as well as niche businesses are developing blockchain-based solutions. Start-ups are definitely heavily involved in the blockchain space and this is due to the fact that they are innovative in the technology space." Nonetheless, he says larger organisations are also in the process of developing blockchain-based solutions, although they are sometimes seen as the white elephant because they look at the industry differently and can be more revenue-focused. The enterprise market is also driving blockchain initiatives in SA. Enterprise software company Oracle is running an educational drive to teach local organisations the fundamentals of blockchain adoption, after the recent launch of its Oracle Autonomous Blockchain Cloud Service. Computing giant IBM recently told ITWeb it is upping its game in regards to deploying blockchain technology in the South African market.